Speaking of sevens, the Endless (from Neil Gaiman's Sandman) also have their representatives. Destiny reminds me of Lilly, not only because they are blind and tall and bound to their books. Lilly is an older sibling, through and through, and always has a 'I know something you don't know' air about her. They won't tell you what they know until it's fait accompli. Death, with her bubbly attitude, makes a good parallel with Misha, just trade black hair for pink and hats for drills. Also, both have hidden depths that make you uncomfortable to explore, and carry a sadness they'll rarely show (besides a good measure of envy, as pointed). Dream's simile is not hard to find. 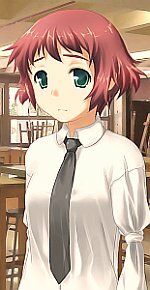 The portrait Rin made of Hisao could very well be Morpheus, all mopey and disheveled. His heart/ruby breaking by the end of the first arc is another similarity, and both heartbreaks get their owners down but are ultimately indispensable for their development. Destruction is the upbeat runaway brother Dream and Delirium spent most of their Brief Lives arc trying to find. Emi's running away in the VN is more metaphorical, but also comes with its hardships. I'm guessing if she did decide to literally run away, she wouldn't be any easier to catch up to. Desire's short hair, fixation on games and bets and overconfidence immediately bring Shizune to mind, though the Student Council president is very clearly female, unlike her Endless counterpart. I guess her brother Hideaki takes care of that part. Despair. Well, Hanako is surely no stranger to it, and they are very passive characters, even when the story revolves around them. Also, with her self-image issues, she would probably appreciate a whole kingdom of mirrors that reflect somewhere else, instead of the image in front of them. Delirium, the youngest one, is also the easiest. Red hair, artsy, hard to figure out, rarely taken seriously but very wise in her own way. Self-destructiveness and identity are part of both her arc and Rin's. Also, my favourite. Speaking of sevens that gives me an excuse to post this again. I guess the logic behind Emi being Doc is that she's friends with a nurse? A gallery of disabled people in their Halloween costumes. I thought some people here might get a kick out of this. I really like the Forest Gump and Lt Dan. Nice to see some people can have a laugh about it. I found this in a game called Harem Collector. At first I thought that was just a funny coincidence, then I saw the second line. Almost finished Chapter 4 of my Naomi fic after uh.. Several years of waiting. 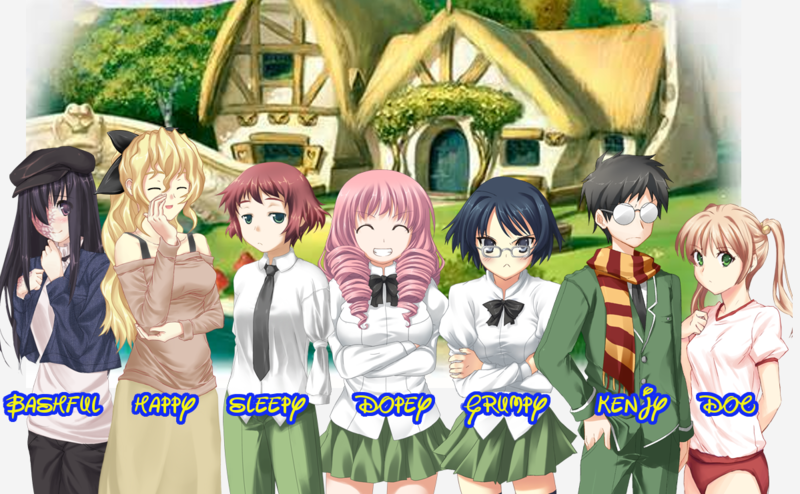 Also I got my 100% save file of KS on my desktop since I'm lazy and don't wanna do all the endings again. ...And I got it working on my new phone. Weeeeeeeeeeeeeeeeeeeeeeeeeeeeeeeeeeeeeeeee. 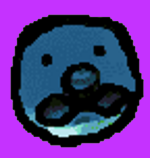 OH and I made a new profile pic. Hello everyone.Im new here and i was wondering which character is your favourite?Mine obviously is Hanako judgling from my nickname alone!Cant wait to see what anyone else thinks! 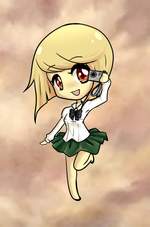 ChosenwHanakoGR wrote: Hello everyone.Im new here and i was wondering which character is your favourite?Mine obviously is Hanako judgling from my nickname alone!Cant wait to see what anyone else thinks! Rin MVP. Fight me yo. ...and welcome to the renai!